The index opened flat to positive, and after an initial dip towards the lows of the day saw the buyer back in action to move the index back in green and close above the psychological level of 8500 at 8513.80, gain of 19.65 points. The broader market though was weak, with 690 advances to 831 declines. 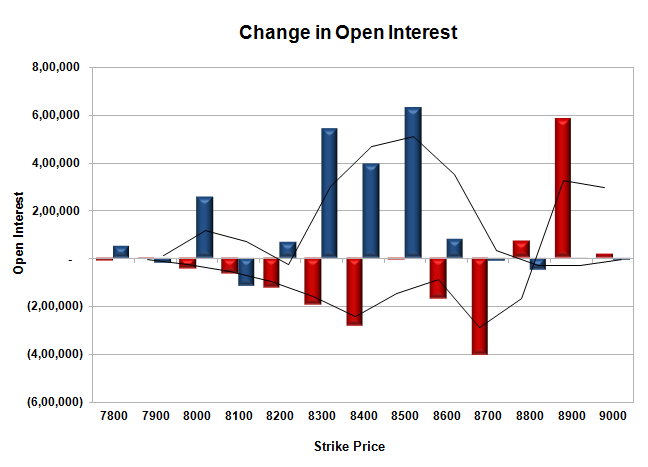 The broader range as per OI Table is 8200-8700. 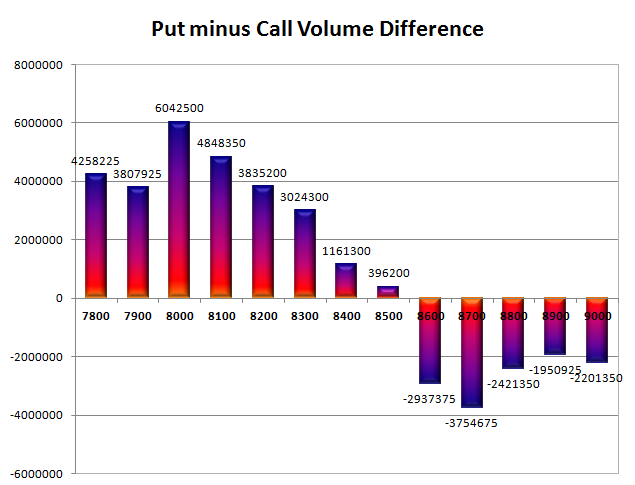 Call option 8800-8900 added huge 6.55 lacs OI with short covering seen at 8400 and lower strike prices. Put option 8600-8200 added huge 17.09 lacs OI with profit booking seen at 8100 strike price. Nifty Open Interest is at 2,00,75,000 down by 5,70,950, with small increase in price, most probably huge short covering/long liquidation. 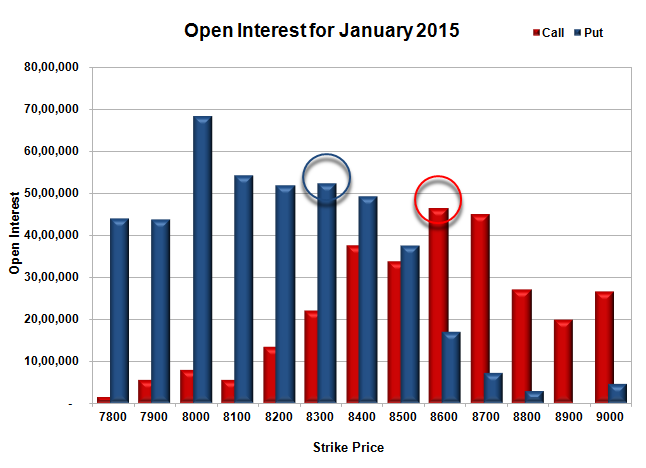 Bank Nifty Open Interest is at 21,26,225 up by 20,350, with increase in price, most probably long build-up. FII’s sold huge 9.45 lacs Futures, which includes 34431 contracts long liquidation and 3379 contracts short build-up, with decrease in net OI by 31052 contracts (includes 55886 longs to 93696 shorts for the day) and the Average Price comes to 8846.42. FII’s Index future open contract as on date is 606141 Longs to 100981 Shorts, net long 505160 down by 37810 contracts. Initial support now at 8500, with huge OI addition of 6.27 lacs for the day and below that at 8400 with OI of 49.23 lacs. Initial and best resistance at 8600, with OI of 46.47 lacs and above that at 8700 with OI of 44.93 lacs. Day Range as per Option Table is 8416 - 8590 and as per VIX is 8437 - 8591 with 8499 as the Pivot.